John Shambaugh Gregory, son of Joan Elizabeth (Libby) Gregory and Theodore Roy Gregory, was born April 30, 1942, and passed away on November 13th at the age of 76 due to complications from leukemia. He is survived by his wife, Elaine, his two sisters, three children and six grandchildren. John was born in Pasadena and graduated from Laguna Beach High School in 1960. He attended The University of the Pacific and achieved his Bachelors and Masters Degrees in Journalism from Northwestern University. As an Army officer during the Vietnam War, John served as a Press Liaison Officer between the White House and Pentagon and was a member of the 82nd Airborne. Professionally, John worked for the Los Angeles Times as a Business and Urban Affairs Reporter where he won 7 Press Club Awards. He also worked as an executive for public television stations KCET and KOCE, and was the Vice President of Media and Government Relations for the Public Relations firm Hill & Knowlton before starting his own PR firm, Gregory Communications, in Pasadena. For 30 years, John represented clients ranging from Fortune 500 companies, to chief executives, cities, and non-profit organizations specializing in media relations, fundraising, speech training and crisis management. As a resident of Arcadia for 40 years, John was heavily involved in volunteer work in his community. He served on the Board of Directors for the Pasadena Museum of History, the Arcadia Olympic Commission and the Arcadia Educational Foundation. 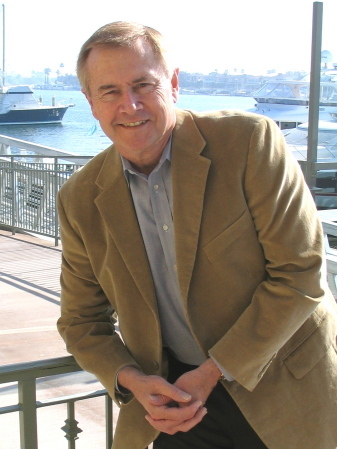 John was a current board member and past president at the Pasadena City College Foundation. John recently served as the historian for the new 1922 History Room at the Rose Bowl. John had an infectious passion for life which was felt by all of those who spent time with him. As a lover of music and history, John authored the 2009 book “Making Music: Unique Ways Songs Became Hits.” John loved to spend time with his family and friends, traveling frequently and constantly telling stories. He will be forever remembered as a man of integrity who brought life and joy to those around him. John was a loving husband of 50 years and an inspirational father and grandfather. He served as a role model to his family and always looked to provide compassion and justice for those in need.